Every book has a call and a reason to be written. In the case of The Cause: Love & War, its calling is to tell the story of not the soldier, but the citizens. During the war years, Gettysburg was a small crossroads town, minding its own business, flourishing in farming and industry. Gettysburg was an exciting place, politically charged by the newspapers printed both democratic and republican views; its people as colorful in personality as anywhere else. It was flourishing with a small population of black citizens that made it an accepting, progressive place. Gettysburg was a safe haven only a stone’s throw from the southern states, whose views about these citizens were very different. Gettysburg was patriotic in its war effort raising troops to support the Union. The town certainly fulfilled its duty to the war, and when called upon again on those fateful days of July 1863, the citizens of Gettysburg did not flinch, despite the enormous pain it felt as its county’s men fought each other in their backyards. Instead, they nursed, fed and opened their homes to families who sought out their loved ones. Their hospitality was given not once, but twice as they remembered the fallen in November of 1863 when Lincoln gave his famous Gettysburg address at the National Cemetery Dedication. There are thousands of books regarding Gettysburg and the Civil War. It is rightly so, as what happened there was so big no one should forget it significance. Gettysburg witnessed the struggle for freedom of America and it lived through the aftermath with grace and resilience. The non-fictional people of Gettysburg write an amazing story of what they lived through. 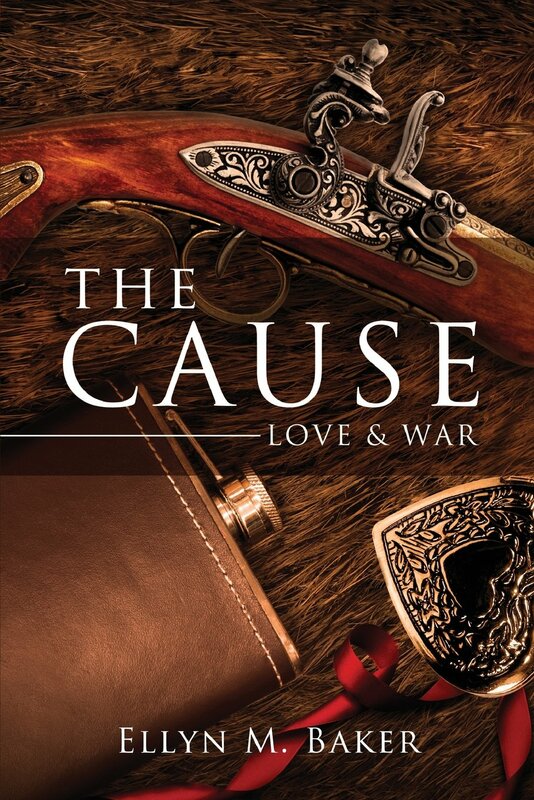 The Cause: Love & War is a historical fiction novel that centers on a young woman coming of age before and during the war years in Gettysburg. Emilie Prescott is like every other young woman living in 1862. Her family and friends are fighting for their country. This interview is early 1862. Still early in the fight, many believe this war will be short lived. As the country’s fate hangs in the balance, we learn life goes on for the citizen’s of Gettysburg. Emilie, tell us a bit about you. My name is Emilie Kathryn Prescott. I was born on the Prescott Plantation outside Richmond Virginia in 1845. I live in a family of five; my parents and two brothers, Aaron and Henry. We recently moved from Richmond to Gettysburg last year. Why did you move to Gettysburg? We could not manage the plantation by ourselves. The demands of farming were too much for us do alone. My Uncle William took over the plantation from my father and we moved up here. How is life in Gettysburg? This is a wonderful place. There is education abound. There are many schools and colleges. The town is full of industry and manufacturing. Father and Henry both found good work here. Mother has her ladies meetings and I am teaching. We were all very happy until the war broke out. Things have changed for not only my family, but also everyone around me. The men have gone to war and we are here hoping they all come home soon. Rumor has it, this war won’t last long. Did Henry and Aaron enlist? (Smiling) Oh no, the boys are not fighting for the North like my friends. They left for the Calvary with a Virginia group. We don’t hear much from them. It’s just like them, always running off for adventure. Tell me more about your friends, are they class mates of yours? The other two I referred to are my fiancé Thaddeus and his best friend Stephen. Thaddeus and I are engaged to be married, as soon as he comes home. Stephen is a good friend. He was actually the first person I met when I arrived in Gettysburg. Besides, knitting and sewing for the troops and family? I enjoy taking Starlight out for a run. We travel all over together. Since we live outside the center of town, Starlight is the quickest way for me to get to town and back. I enjoy visiting my friends and acquaintances in town. Just for fun, how about some quirky questions. (Emilie raises an eyebrow, and smiles playfully). Lemon drops and Mother’s Christmas fudge made with peppermint. Lemonade during the summer and Earl gray tea with honey and cream. My grandmother made this for me all the time. Very much a horse person, but if I had to pick, I would choose…..Can I like them both? They each have very useful qualities. If I had to choose, I would pick cat. They tend not to spook horses. I like only one house cat. The rest belong in the barn chasing mice. I love Martha’s roast pig served with greens and potatoes. She makes the best cornbread and apple crisp for dessert. You haven’t had a good meal until Martha has served you her best. Tell me more about Martha. Martha has been with us since I was born. She was deeded to us with the plantation after my grandparents died. She married Big Jim and then they had Seth about the same time I was born. Seth and I grew up together. We use to hide out together so I could teach Seth how to read. What do you mean when you say, “Hide”? As you know, it was illegal to teach blacks how to read or write in the South. My parents tried to scold me, but we hid away or drew letters in the dirt until Seth understood them. This was my first teaching experience. I don’t think I have stopped teaching since. What is in your future Miss Emilie? For now, all I can do is send letters, goodies and clothing to my loved ones. Thaddeus and Stephen have as much need as Aaron and Henry. I cannot choose one over the other. I pray that no harm will come to them. I look forward to life after the war. In the meantime, life goes on as usual. Do you worry about being so close to the Southern boarders? I don’t worry too much. The war seems to be in the South more than the North. Gettysburg doesn’t have much to offer soldiers except a good education. I am sure they won’t stop fighting long enough to go to college. (She smiles at her own jokes) I am sure neither army will come this way. I feel safe here. The war seems so far away. What makes you laugh aloud? I laugh most at my jokes. I laugh at Henry when he is not making me angry and I love to laugh when Thaddeus teases me and makes me see how ridiculous I can be sometimes. It is good to laugh. What is the best memory of your childhood and why? The best memories are of teaching Seth how to read. I had fun helping understand the letters and reading the words. This experience helped me decide to become a teacher. Starlight! I have learned so much raising this horse. I don’t know what I would do without her. I am afraid this war will change all of us. Above that, I mostly fear my brothers or Thaddeus and Stephen won’t come home. Thaddeus says war changes people. I hope he is wrong. 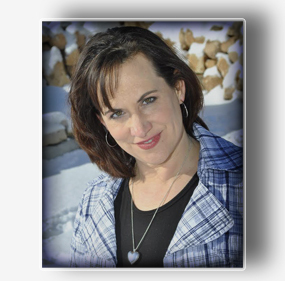 Thank you Emilie, I wish you the best of luck with your teaching and we look forward to reading more about you in the upcoming book The Cause: Love & War due out in the Spring 2013. This entry was posted in Author's Journey and tagged 1862, civil war, Gettysburg, Richmond Virginia, Virginia Calvary. Bookmark the permalink.